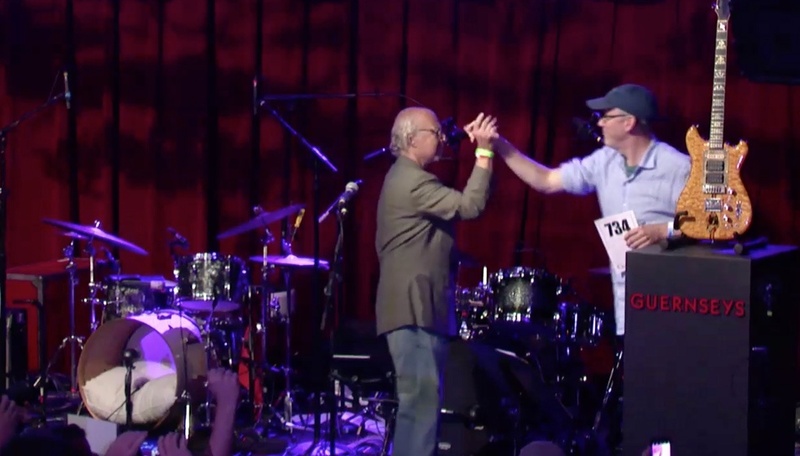 Last night, my good friend Brian Halligan won Jerry Garcia’s iconic “Wolf” guitar at a charity auction, generating some $3 million for the Southern Poverty Law Center. 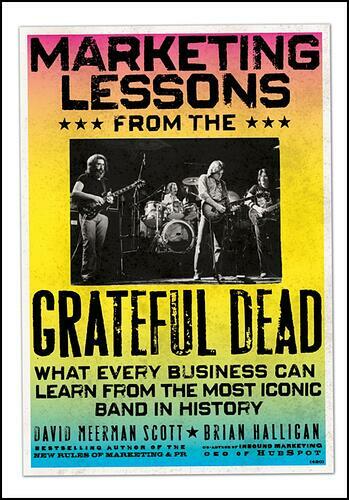 Brian is co-founder and CEO of HubSpot (I am on the advisory board) and we co-wrote the book Marketing Lessons from the Grateful Dead: What Every Business Can Learn from the Most Iconic Band in History. The Southern Poverty Law Center is one of the foremost advocacy groups in the United States, comprised of a team of lawyers and activists who fight on behalf of the victims of bigotry and advocate for civil rights. More on the auction from Rolling Stone. Like me, Brian is a mega Deadhead. He’s seen the band over a hundred times and I’m not far behind. I saw my first Grateful Dead show as a teenager at New Haven Coliseum on January 17, 1979 and Jerry Garcia played Wolf that night. Growing up with Grateful Dead music and participating in the ways that the band interacted with fans led both of us to think about business and marketing in new ways. The Grateful Dead created a social network of fans who traded content (tapes of shows) before Mark Zuckerberg was even born. The band encouraged fans to be a part of the organism that is the Grateful Dead unlike the “us vs them” attitude of other bands of the era. Famously, the band encouraged fans to record their concerts, a foreshadowing of open communications methods of today. Many of the Grateful Dead approaches to business were the things that influenced Brian's original ideas of Inbound Marketing and the concepts behind the HubSpot marketing and sales platform (which is the platform I use for this blog). Brian says the Grateful Dead helped him to see patterns around the new ways that companies need to market products and services in an online world. Taking pages out of the Grateful Dead’s playbook, Brian developed appraoches which were the opposite of what nearly all companies were doing at the time. Stop spending money on advertising and start creating content that people will love to consume and be eager to share. More than ten years ago, those patterns weren’t at all obvious. The Grateful Dead formed more that 50 years ago. They are still relevant today because they built a huge “deadicated” fan base who love their content and their live events. HubSpot formed ten years ago and has built a raving fan base too. By channeling the Dead, Brian and the team he built at HubSpot have taught millions of people how to do modern marketing and sales. Some 20,000 people come to the annual Inbound conference every year and millions of people enjoy HubSpot content. Fans of the Grateful Dead will know the incomparable Wolf as one of Jerry Garcia’s earliest and most recognizable instruments. 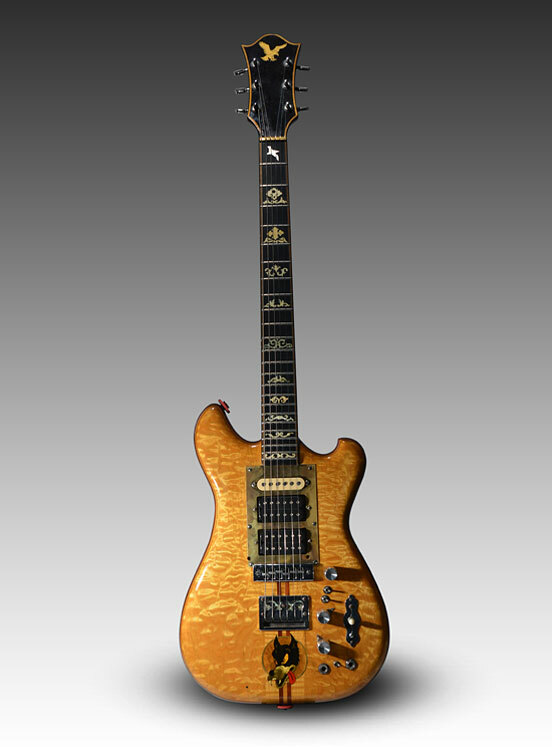 Crafted by former Alembic luthier Doug Irwin in the early seventies at Garcia’s specific request, Wolf was Garcia’s first custom-made guitar, an asymmetrical original neck-through-body design with a purpleheart and curly western maple body and, of course, the fierce but playful cartoon image of the Wolf, a sticker Garcia placed below the tailpiece that Irwin later inlaid in its place. Wolf made its debut in 1973 at a private party for the Hell’s Angels, and was primarily played during the 1970s in the great early days of the Dead, though the instrument was brought out again for its last performance in 1993 at the Oakland Coliseum. 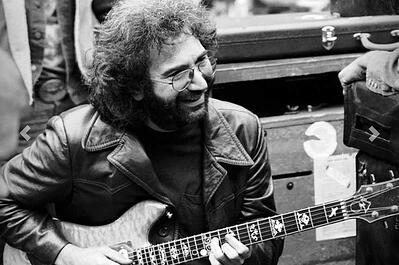 Wolf was cherished by Garcia as well as his fans; he was famous for his beloved custom instruments, and his passion for unique and idiosyncratic guitars contributed not only to the legacy of the Grateful Dead, but also to the establishment and popularization of the custom guitar industry. Alembic and Doug Irwin’s private workshop were at the forefront of this emerging culture in the late sixties and seventies, in large part because of Irwin’s long and fruitful relationship with Garcia, who was so thrilled by the design for Wolf that it became his main instrument during the period and inspired him to return to Irwin again and again in the future for new custom guitars. If you want to see Wolf in action, tomorrow a new Grateful Dead documentary Long Strange Trip will be released on Amazon. Wolf features prominently in the film.